Who doesn’t love blueberries – I know I love them for any occasion! They are the perfect sweet treat! You’re going to love the way this blue-boobie boost smoothie tastes! Beyond how delicious this smoothie is, the boost it will give your milk supply is really what matters! I’ve carefully selected potent beast milk boosting galactagogues (what was that word she just said?) for this recipe. Find out what a galactagogue is and get the recipe further down! A galactagogue is a certain food, herb or medication that has breast milk boosting properties. 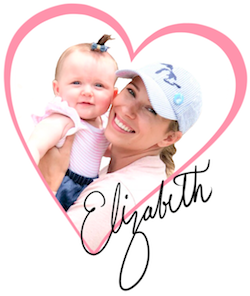 First, let me explain what a galactagogue is – it is defined as a certain food, herb or medication that has breast milk boosting properties. What makes these particular foods a galactagogue and good for breast milk production? Great question – let me elaborate and teach you something you may not know! After all, knowledge is power and in this case – milk making magical power! How does coconut milk help with breast milk supply? Nuts in general are great for giving breast milk a nourishing kick because they are high in protein, fiber and magnesium. Snacking on nuts throughout the day as a snack is a great way to eat healthy while breastfeeding and also promote healthy milk production. Try my Pink Lactation Drink if you really love coconut! Bone broth in a lactation smoothie? Yes! I discovered bone broth a few years ago, but I had no clue it would come in handy when I began breastfeeding. It was actually kind of an accident that I realized it was helping my milk supply. But once I made the connection, I hopped online and asked Googled why bone broth was beneficial for lactating women. Here’s what I found out – because bone broth is abundantly rich in minerals, like calcium – it does wonders to help heal a woman with blood building properties that restore, hydrate and balance. If you want to know which bone broth protein powder I use, here is the link so you can get some for yourself and make this milk boosting smoothie! Add this to your smoothie for a super-powerful lactation aid! Why is flax such a good galactagogue? I have to admit, flax smells and tasted nasty. Um, hello – am I eating a plant or a fish?? I never understood how something that has no relation to salt water could smell so fishy. The answer is actually quite simple, it’s the correlation of the omega-3 fatty acids that they all have in common. Those omegas are exactly why flax is great for breastfeeding too! You should always consult with your doctor before consuming any supplement while breastfeeding. A very blueberry breast milk boosting smoothie. Simple, healthy and dairy free ingredients that work to nourish a mother's cells in turn helping her body produce more milk! Next, all you do is blend it up! I used my Vitamix blender, I could not live without this piece of life-changing kitchen equipment. 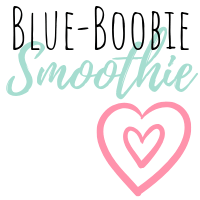 I hope you give this blue-boobie boost smoothie recipe a try!